FOR sufferers of travel sickness, being part of the Army family can be the trigger for a fair amount of discomfort. Whether soldier, spouse or relative, the often-nomadic lifestyle associated with the military is not ideal for those whose tummies turn at the thought of a long journey. With existing medicines carrying a host of nasty side-effects and the impact of acupressure bands debatable, many of those afflicted with the condition have turned to ginger as natural remedy. Although the scientific community is yet to come up with conclusive proof of the root’s efficiency, it does have a long history of being used raw, in drinks and in supplements as a treatment. 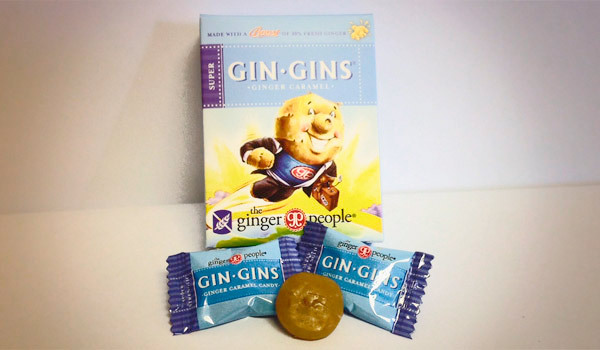 Cottoning onto this line of therapy, The Ginger People have launched Gin Gins Ginger Caramel sweets. Packing 30 per cent fresh ginger, the slightly chewy confectionary are marketed as the “potion for the motion”, drawing on ginger’s reputation for relieving symptoms of everything from nausea and vomiting to indigestion and dizziness. As sufferers of travel sickness ourselves, we decided to put Gin Gins through a road test to see if they could make being on the move more manageable. Travelling as a rear passenger in a car is the surest way to trigger motion sickness in the A&Y web team, so we bravely volunteered to clamber into the back seats for a one-hour drive to a meeting in Slough. To add further weight to our flimsy science, we repeated the trick on the return journey, this time reading the BBC News website on a mobile phone – an almost guaranteed way to make us feel unwell. Ahead of the outward journey, we munched on two of the slender sweets. 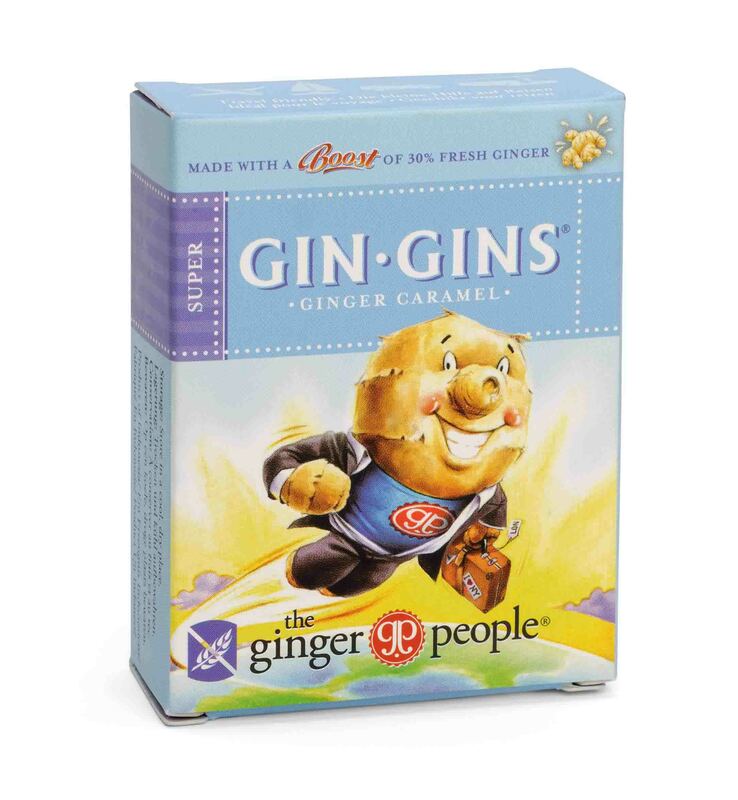 The initial taste is pleasant and caramel-heavy, but it doesn’t take long before the fiery ginger makes itself known. The combination of the two flavours is a little bit unusual and we weren’t sure at first whether that was a good thing or not, although on balance it probably was. Setting off on the journey, we felt surprisingly fine for the first three quarters of the trip. The final stretch – which involved switching from motorways to slower urban routes – brought with it a familiar queasy feeling, although it soon passed once we reached our destination and stopped moving. Once our meeting had been held (and another two sweets demolished), we began the return trip. Unfortunately, trying to focus on a small screen while on the go proved to be a step too far and we had to abandon our research about 20 minutes in to avoid making a mess of the back of the car. Although our final test was a bit tongue-in-cheek, it did highlight that there really is no better treatment for motion sickness than common sense. Not reading or playing games and focusing on a steady spot on the horizon are as good as anything in settling travel-related upset stomachs. That being said, the Gin Gins we took on board ahead of our outward leg certainly did no harm and a similar journey in similar conditions would usually have made us feel a lot worse than we did this time around. If you buy into ginger’s powers of healing, this is certainly one of the best ways of taking it on board. And at just £1.39 for a 31g box containing approximately 12 individually-wrapped sweets, Gin Gins are certainly friendly on the wallet.